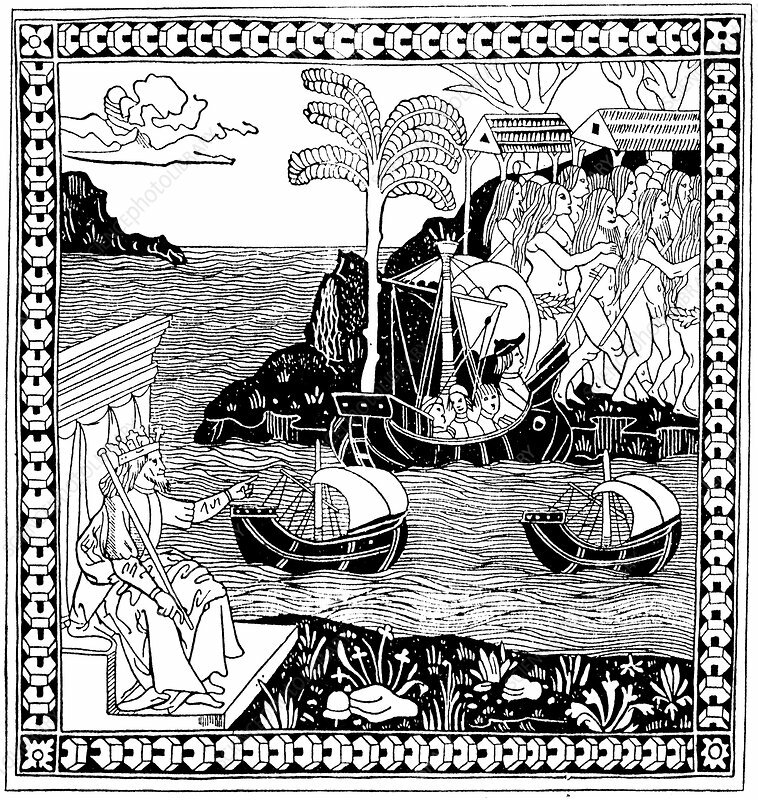 Discovering America', woodcut, 1493. Ferdinand II of Aragon points to Columbus in 'Santa Maria' as she approaches land with the 'Pinta' and 'Nina'. Said to be earliest depiction of Columbus'.